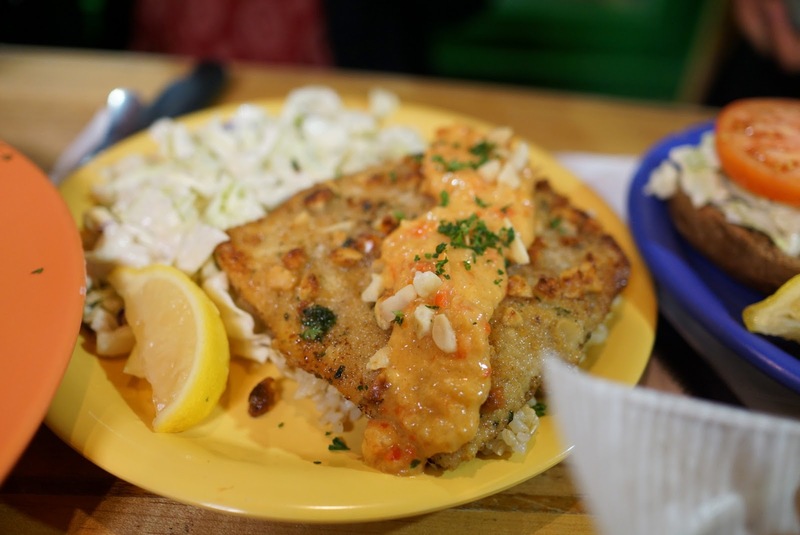 Coconut’s Fish Cafe – Overworked. Underfed. So after a long flight we finally arrived in Maui. The weather was a very welcome change. Not that SoCal is like Siberia or anything but I’d take 70-80 degree weather over 50-60 degrees weather any day. And it turned out that we traded a week of rain for a week of sunshine as well! Good fortune was on our side. 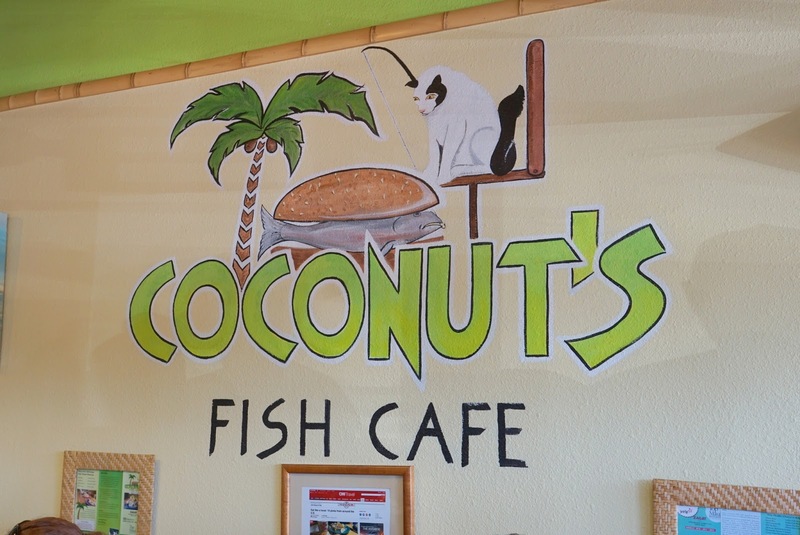 Our first stop was the ever popular Maui establishment, Coconut’s Fish Cafe. I remember very little from my previous, but I do remember the wait was long and that remains unchanged. Luckily, we chatted up another couple during our 15-20 minute wait for food, so the time passed by quickly. These guys came out first to save us from our hunger. The Annoyer felt they were better than your average onions because they were probably made with sweet Maui onions. 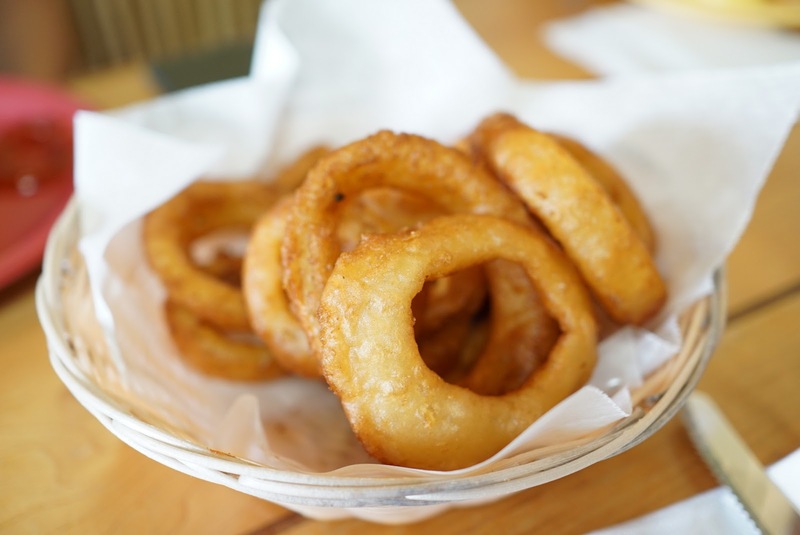 Honestly, the onion is never the star of the show in an onion ring. It’s all about the batter, which crisped up nicely and hid all the oil well. The fish tacos were interesting. It was basically a crunchy grilled tortilla with a soft tortilla on top of that with melted cheese. The fish was grilled and tender. But I quite enjoyed the mountain of crunchy cabbage slaw, tomato and mango salsas. 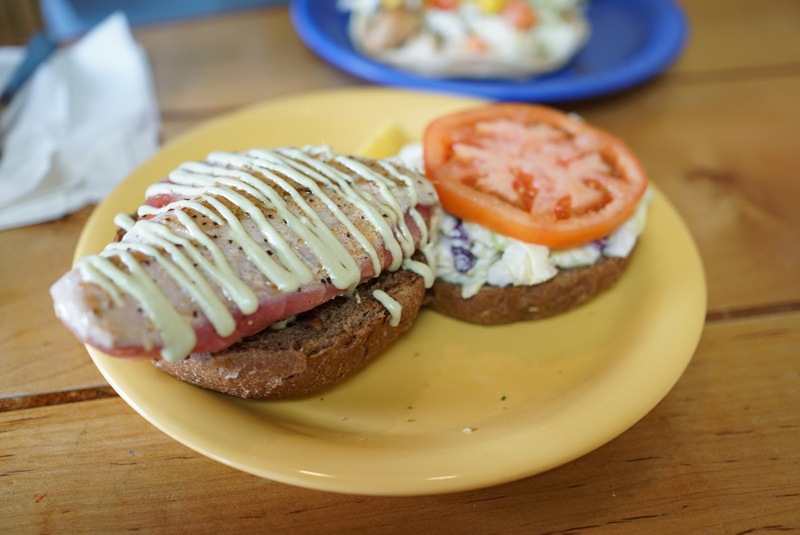 We also enjoyed the ahi tuna burger with wasabi aioli. Man did that wasabi carry a kick. It wasn’t as flavorful as the fish tacos but The Annoyer quite enjoyed it. That would have been the end of our meal but we went back later with the rest of The Annoyer’s family for dinner. We ordered many of the same items, but also tried some new items. 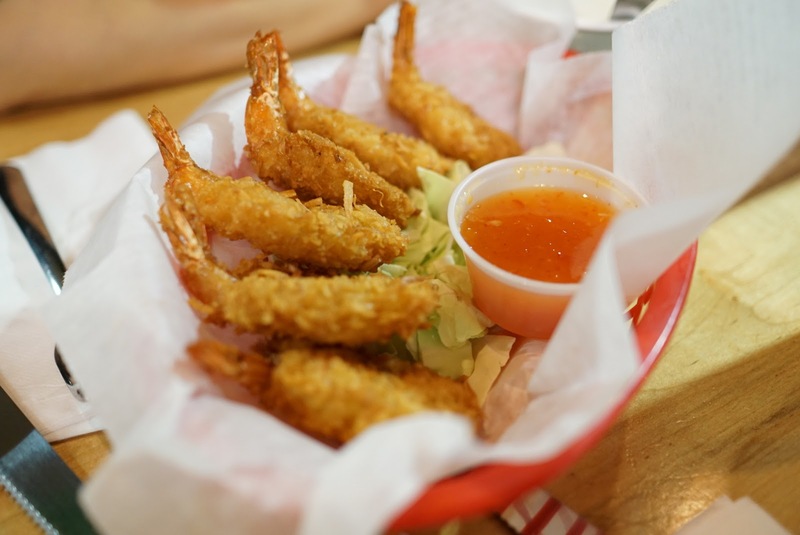 The shrimp were crispy and just a little sweet from the coconut flakes. 3SB really really liked this for reasons I cannot explain. I’m not a huge fan of mahi mahi bc it can be dry and tasteless. 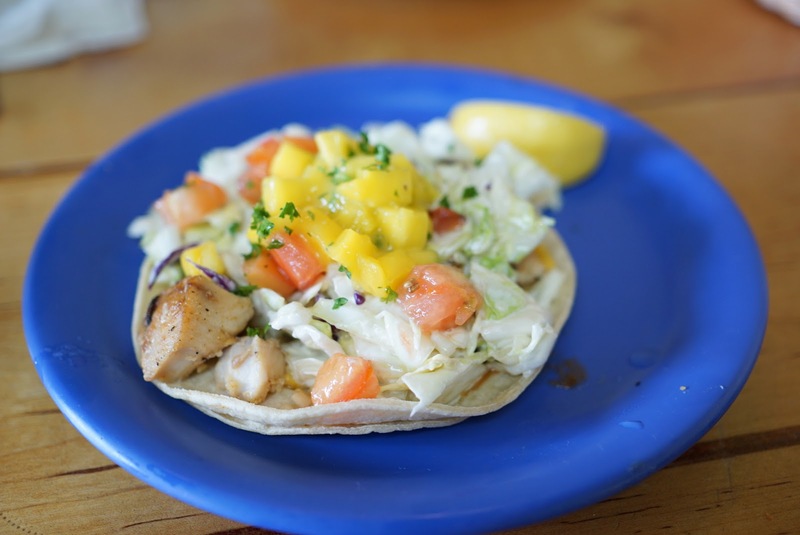 Of course the mahi mahi in Hawaii is always moist and juicy. This was no exception. The sauce was sweet and creamy. 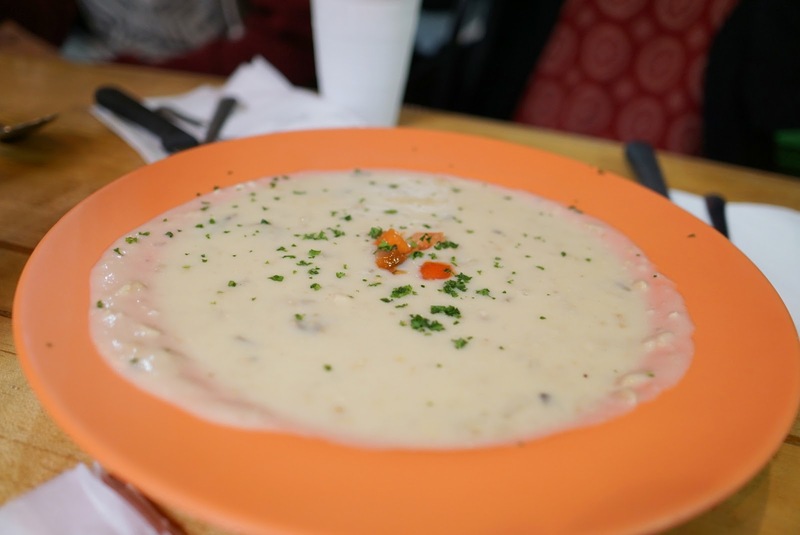 I enjoyed the chowder which wasn’t too heavy or creamy. The fish chunks weren’t that plentiful but they were pretty over cooked so no loss there. The soup itself was tasty. Overall, my meal at Coconut’s was a great start to my Maui vacation. My second meal here was a bit overkill with more fish tacos, onion rings, and ahi burgers, but it was well received among my party. In retrospect, after having tried several other places in Maui, I would say Coconut’s might be a bit overrated and doesn’t really warrant such a long wait. It is solid, but I don’t think I need to come back here if I’m in Maui unless I’m looking for a reliably good, but not great meal with no fuss, unless you considering a bit of a wait to be annoying. Some of the other options in Maui have limited hours/days of operation, but Coconut’s is open 7 days a week 10am-9pm.